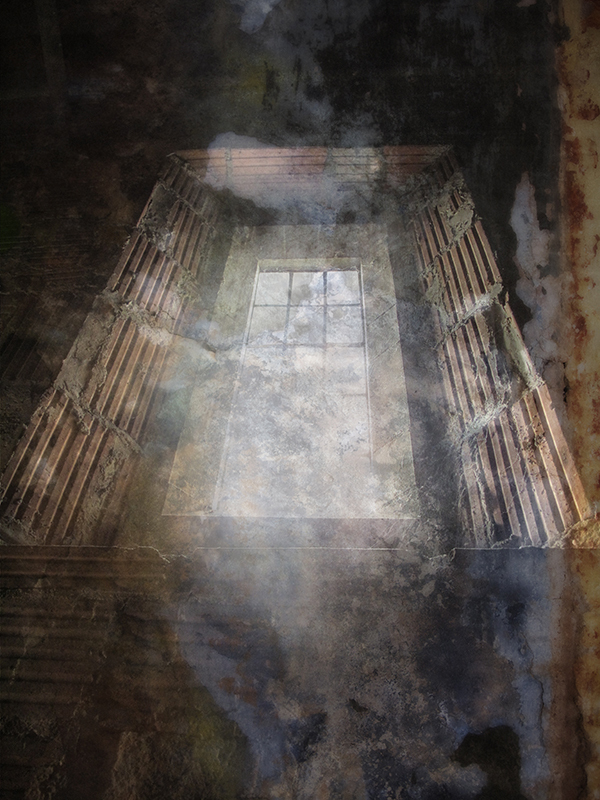 I saw this window, hidden, going up narrow steep steps inside of an old church steeple. I have called it "Light Hidden Is Still There". We can try to hide the light, keep it away, keep it locked away, but the light is always there. Shining. I made it up to the equally old bells. Had to go through 2 trap doors.